There was a line of people wrapped around the hanger of where Ted Cruz was going to be speaking later that night. The event was billed as Phil Robertson featuring Ted Cruz. This was the topic our conversation in the van as we arrived. As we arrived, we came to the conclusion that Ted Cruz’s Super Pac must have put the event on. While we waited in line, I bought one of these awesome buttons. The other option was a “Bomb the hell out of ISIS!” That seemed to be a big hit as well. Once inside, we listened to the patriotic classic rock and country music as we waited for the event to start. The first speaker of the night was Congressman Jeff Duncan. He detailed how Cruz was constantly working with House members to fight for the Constitution. Next up was Phil Robertson. I used to watch Duck Dynasty, so I was eager to hear him speak. The feelings of excitement quickly left me, however. Robertson made sweeping claims of “America murdering 60 million babies” when referring to abortion, as well as claiming that there would not be sexually transmitted diseases if we only had heterosexual couples. I can’t imagine what was going through the heads of the other members of the Wake the Vote cohort. Given that I am a Republican, I felt embarrassed that a Presidential candidate would let someone talk like this to introduce them at a rally. Robertson closed his speech by saying that we need to use “Bibles and guns to defeat ISIS”. While this might not be a sound foreign policy, it sure seemed to get the crowd fired up. The entire night was overshadowed by the Phil Robertson’s introduction. Even though I may agree on some of Senator Cruz’s positions, I don’t agree with some of the tactics that he used during his time in the Senate. 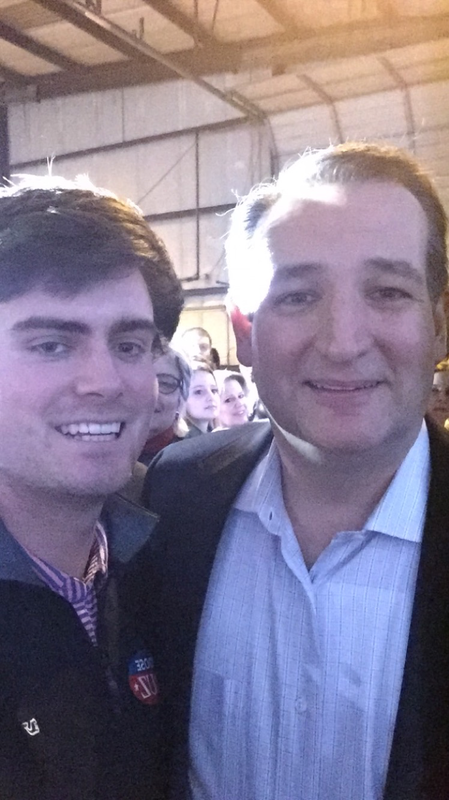 It’s safe to say, come March 15th, I probably will not choose Cruz.